Close your eyes. Imagine a tall sky and wide, flat plain before you. The floor of the valley, in this case the San Joaquin in California, is covered in what appears to be a fine dusting of snow. 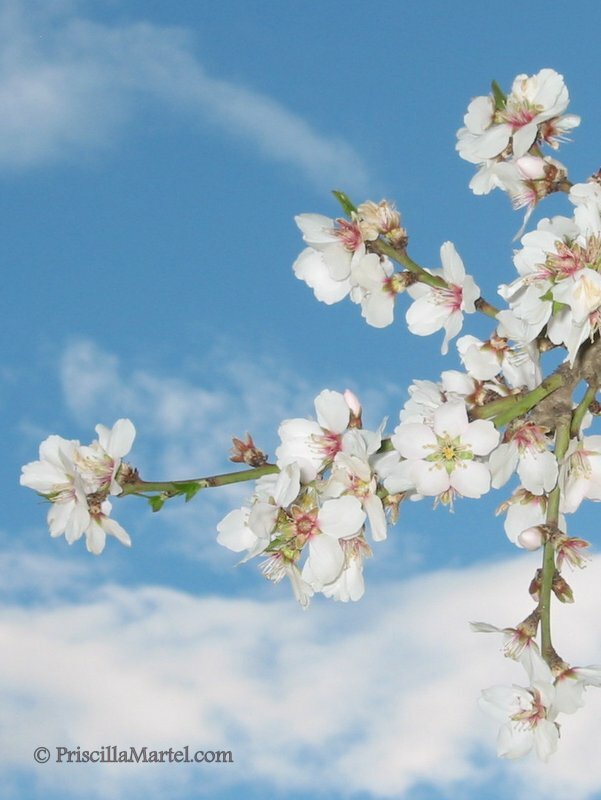 This is the Almond Bloom 2015. You’re driving along a highway, CA-99; tractor trailers haul bales of hay and a 50-car train matches your speed. You pull off onto a secondary road for a closer look. There may be a gentle breeze and you’ll need a light jacket, perhaps even a sweater. Now zoom in and look at the orderly rows of trees, spaced wide to allow the battery of movers, sweepers and harvesters to zip around the orchard. You’ll see slight variations among the trees, some taller, some broader reflecting the interplanting of varieties to assure pollination. 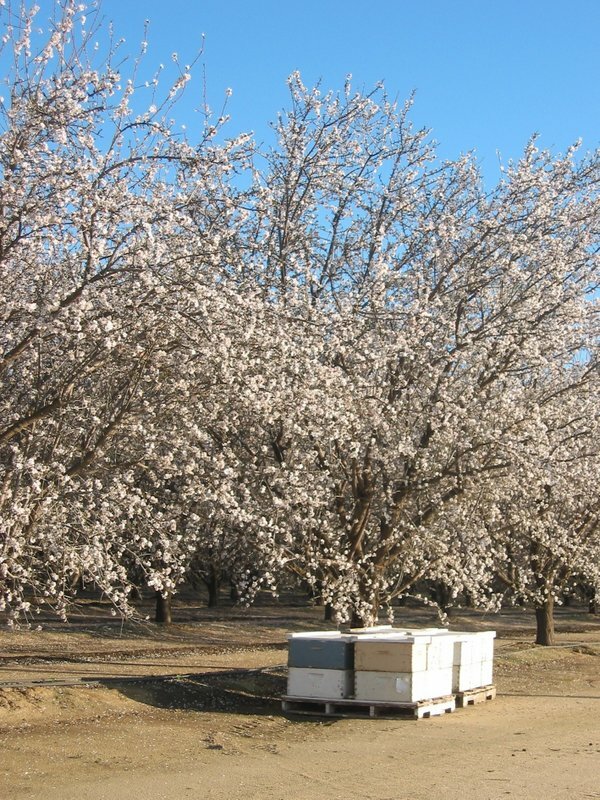 And you’ll notice the stacks of hives places strategically along the edges of orchards. 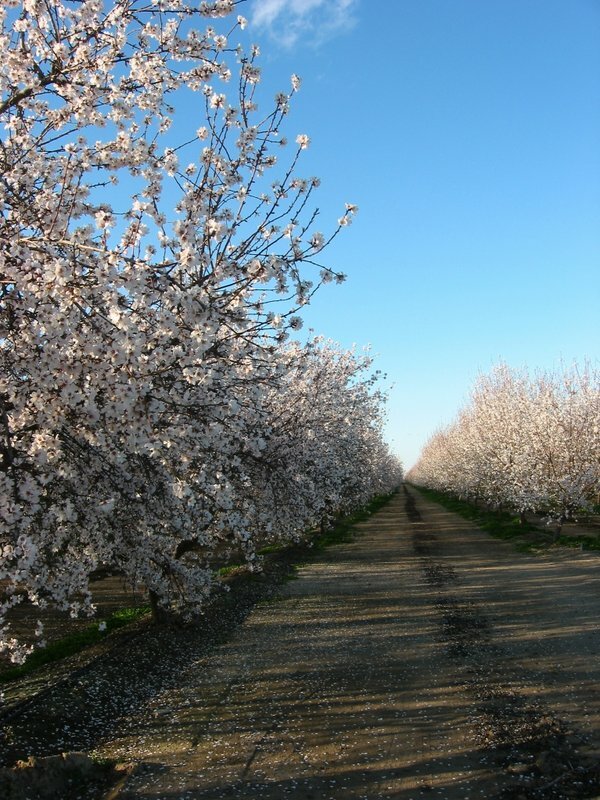 It is the almond bloom in California. 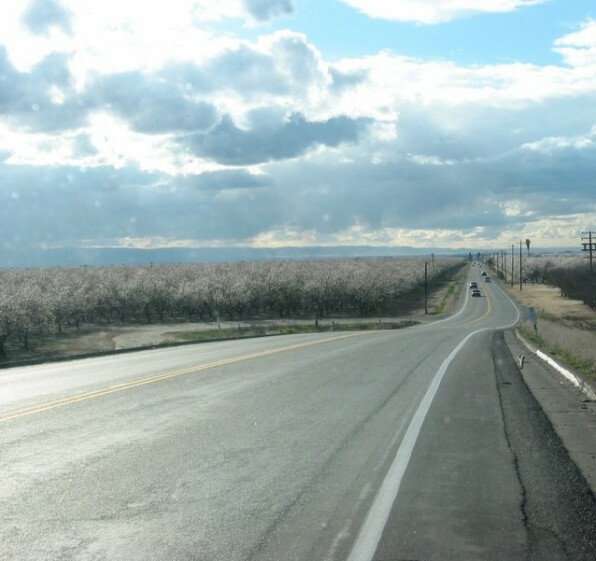 On over 800,000 acres from Bakersfield in the south to Chico in the north, the trees are coming to life. At this time of the year, growers track the hours of sunshine and fret when there is fog or overcast skies. A chilly gray day keeps the bees in their hives, refusing to do their assigned task of cross pollination. Despite the drought and bee die off, nature’s force resists repression. I am pausing here from any discussion of the challenges California growers face for a moment of celebration. (One obstacle was removed this weekend as a union settlement was reached with West Coast dockworkers.) There’s plenty to say about dwindling ground water, Varroa mites, pesticides and intensive agriculture. But let’s take a moment to enjoy the spectacle and think of each living tree putting forth and the thousands of farmers who sincerely care about producing sound, quality almonds.